This 22oz spray bottle is great for spraying virtually any product accurately and easily. Use this high quality 22oz spray bottle to apply virtually any liquid detailing or household product. This bottle allows you to order larger sizes and pour them into this convenient spray bottle so you can save lots on your favorite products. To save even more, order concentrated versions of your favorite products, such as: interior cleaners, wheel cleaners, degreasers, pre-wash treatments. Dilute these products in this convenient and easy to use spray bottle. The bottle will help you conserve more product and apply them more accurately so you only get product exactly where you want it. 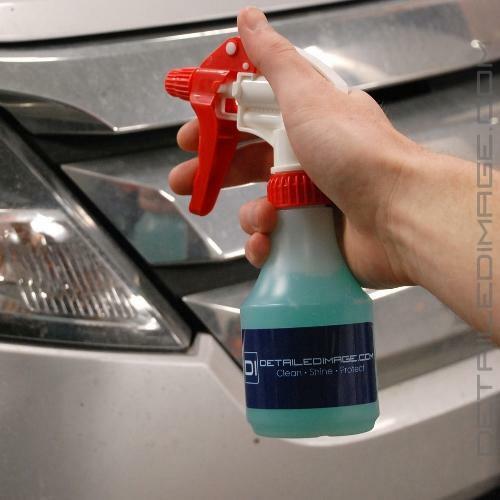 The 22oz spray bottles are great to have around and offer unlimited uses while detailing or around the house. Purchased 3 of the 8oz spray bottles and can say that that they seem the be good quality. Definitely recommend! I love this little bottle. I currently keep this bottle in my vehicle with a quick detail spray for any smudges I notice while in my vehicle. Although small, the bottle is built to last. DI bottles are some of the best on the market and I have multiple in my garage. 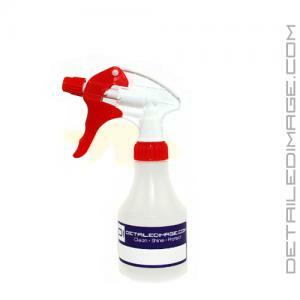 Durable spray bottle, has oz indicators on the bottle makes it very easy to dilute your products.